Sporting an outstandingly luxurious look, this is a sweatshirt for your more ambitious ensembles. The base fabric was dyed in a rich deep navy colour and adorned with stripes at the cuffs. 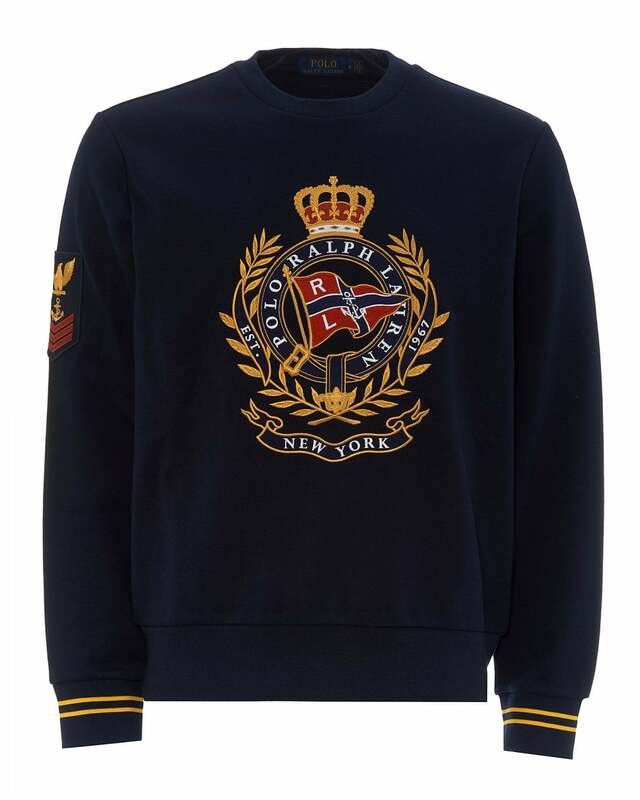 This sweat is finished with a Ralph Lauren crest on the chest and a patch woven to the right sleeve.